At the end of February we’ve organised the first public event at the nursery. 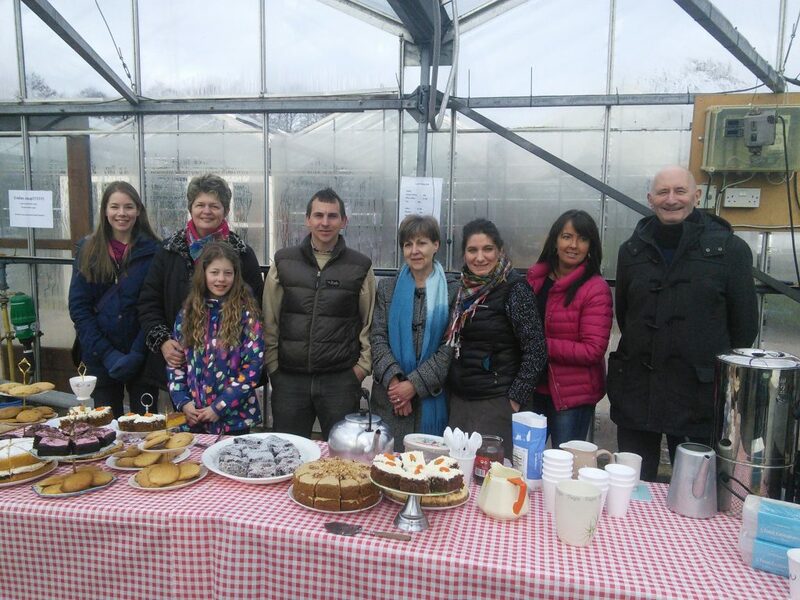 The event was aimed for keen allotment holders, enthusiastic gardeners and anyone else who goes for the grow-your-own philosophy and lifestyle. We were delighted to see so many people at the event and to see how popular the grow-your-own and eat-well movement is in our local area. We had everyone down – from enthusiastic alotmenteers, to people who grow veg to exhibit at Southport Flower Show in the amateurs’ marquee and representatives of local community groups and charitable organisations that do a lot of good work for local people and veterans. We hope to see everyone again next year. The event has a social aspect to it; it is not just about buying you’re seed, fruit trees, rhizomes and bulbs, it is also about talking through with other experienced growers about how to get the best out of your growing. And what better could facilitate this knowledge exchange that a café? We decided it was imperative that there was coffee, cake, and soup available. We then thought this was also a great opportunity to fundraise for two charities that we support, Rosemere Cancer Foundation and the Motivation Romania Foundation. So we got baking, and all our friends, relatives, and friends’ children also got baking for our café. 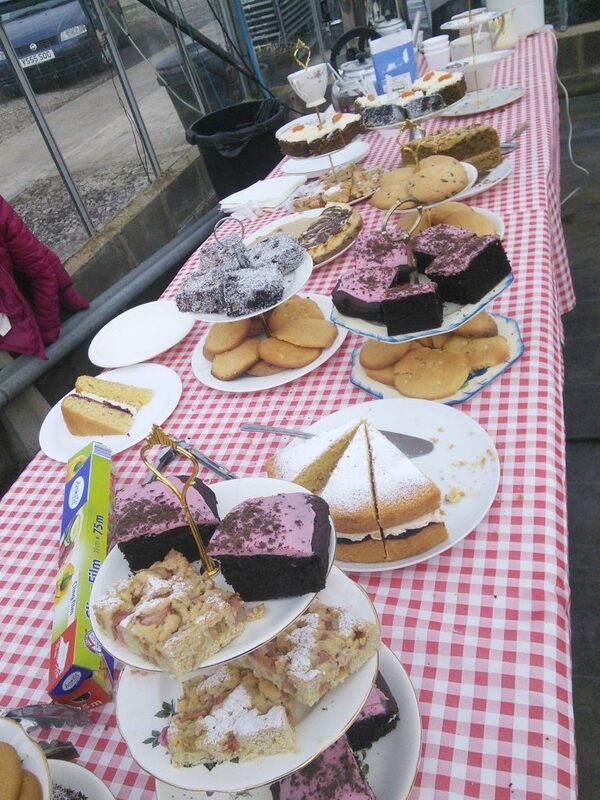 We are very grateful to everyone who baked and helped on the day, and donated bunches of daffs to be sold for charity. Both charities sent us lovely letters to say thank you for the donations. Finally, Brighter Blooms donated a starter pack to be raffled with all the proceeds going for charity, which included a plum tree, a redcurrant, seed potato, 20 packs of vegetable seed, rhubarb, strawberries (you get the gist – enough to keep a gardener from mischief for the full year!). Needless to say that everyone wanted the starter pack, but the person who won it was Mr L Butters from Pilling, so we wish him happy gardening!